Total Container Lines Pvt Ltd. aim is to be one among world’s top global airfreight forwarders, with a full range of air logistics solutions. We assure on-time delivery to any locations across the world…………..
1) FREE Door Step Pick – Up DOOR Delivery. Balaji Exim is Indian Based Freight Forwarding company and provide Most Competitive Rates of Import & Export shipments from india / to India. Also Accepted LCL, FCL, Air, Door Delivery by Sea and Air, By Road Shipment to Benapole, Bangladesh, & Nepal from India. Cargo Distribution Export provide a new personalized solution for your freight; We will handle from your smallest package to your largest container at the most competitive rate and a World Class service. Perceived as one of the famous business names, we are enthusiastically occupied with the field of giving to our supporters, Air Freight Forwarding Services. A group of agile specialists gives these administrations in agreement with predefined prerequisites of customers. 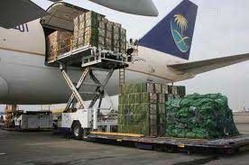 Asl global service’s Air Freight Forwarding services are most sought after due to our swift execution and punctuality. Our air freight division comprises of experienced cargo professionals with years of industry experience thereby easing the communication flow and accelerating the decision making among all clients. MBI Logistics is a reliable Freight Forwarding & Consolidation Company handling Air cargo from all Major destinations worldwide & across India. We works on Premium & Reliable Airlines to ensure best services in market with most competitive prices on direct & in-direct airlines. 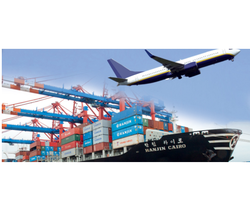 ENS Logistics is an experienced operator of inbound and outbound freight. We are a company that guarantees efficiency and results all the way to the hands of the consignee.